The Afar Region of Africa, named for the people who call it home, encompasses Djibouti, Eritrea, and the northeast corner of Ethiopia. 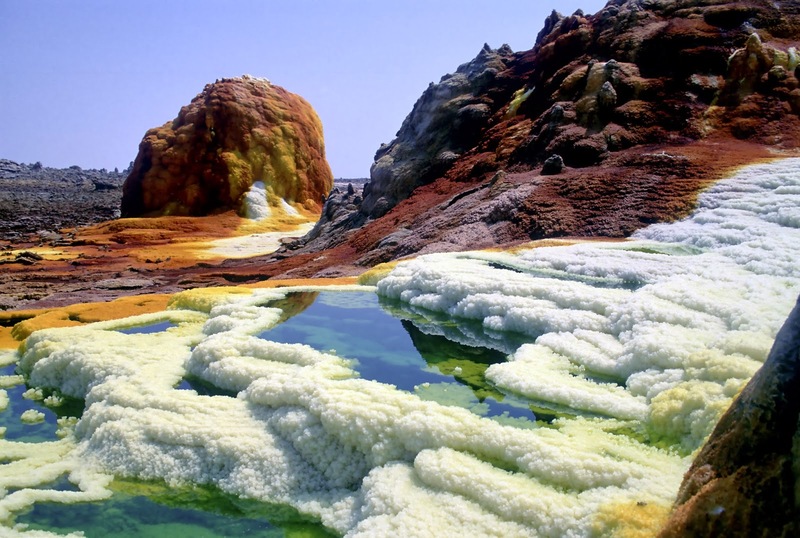 A notable trait of the Afar Triangle is the Danakil Depression, the lowest point in Africa. The territory is one of the hottest on the planet, and features everything from earthquakes and volcanoes to geysers and salt canyons. It is also home to Dallol, a remote mining camp accessible by camel.